Those who, for the Buddhas have erected images. Those who, as an offering to the Buddhas, have made images, by carving all their myriads of marks, all of the fine characteristics of the Buddhas of the ten directions, have realized the Buddha Way. They have become Buddhas. 1. In every life you will have clear vision. 2. You will not be born in evil places. Your friends and neighbors will all be good people. You will not meet up with evil people or evil beasts. 3. You will always be born in a noble family. You will be born into a household, which is wealthy and honored. 4. Your body will be purple-golden in color. 5. You will possess an abundance of wealth. 6. You will be born in a worthy and good family. 7. You can be born a king. Now, there is no Emperor, but you could be the President. It amounts to the same thing. Or, if you insist on being an Emperor, you can find a country with a monarchy and be born there. 8. You can be a Wheel-turning sage king. That is even higher than being President. As a Wheel-turning sage king, if you cultivate, you can become a Buddha. 9. You can be born in the Brahma heavens and live for an eon. You can be a king among the gods. 10. You will not fall into the evil paths. Those who make Buddha images will not fall into the hells, the animal realm, or the realm of hungry ghosts. 11. In future incarnations you will still be able to revere the Triple Jewel. You will be able to take refuge with the Triple Jewel. You will not fall. Hearing these eleven meritorious virtues, if we have the strength, we should make more Buddha images. If you make Buddha images, your appearance will be perfect and full. Why is the Buddha’s appearance so perfect? It is because during the three great asankhyeya eons he cultivated the Way. He made countless Buddha images. During the first asankhyeya eon, he encountered 75,000 Buddhas. During the second, 76,000 and during the third, 77,000. If he met with that many Buddhas, of course he made more Buddha images than that. Who knows how many he made? That is why his appearance is so full and perfect. But, in making images, we should not think, “I will make a Buddha image and then I will be very handsome, and people will fall in love with me.” That is not a proper motive. We should cultivate blessings and wisdom so that in the future we can realize Buddhahood. Persons who have made such images have all realized Buddhahood. Fill up and submit the adoption form online as well as making the payment. Upon receiving your application, our friendly staff will be in touch with you soonest time possible. Alternatively, you are also welcome to come down to our temple to make the adoption personally. At the same time, our staff can show you where the Buddhas' image are. 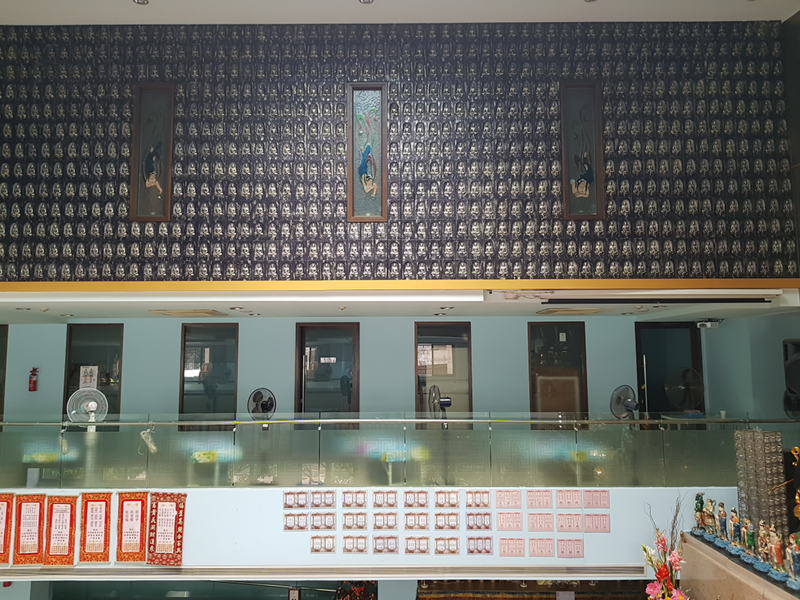 The 1000 Sakyamuni Buddha Images Adoption fee per Buddha is S$1000. You may either adopt it under an organization / company + individual or jointly members (max 5 names). Please note that this is a permanent adoption with only 120 Buddha Images available. 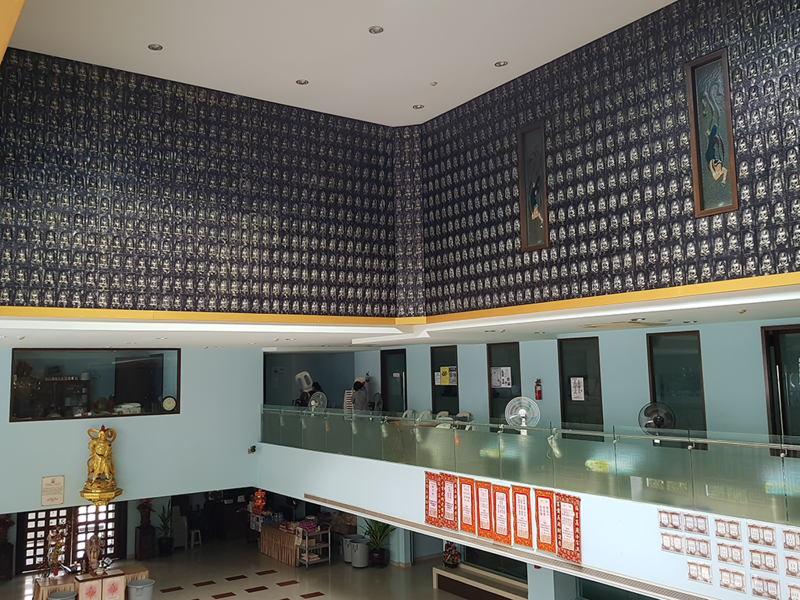 Adopters' name will be permanently put up on the Adoption Sponsor's Name Records at Pu Ji Si Buddhist Research Centre's 4th floor.